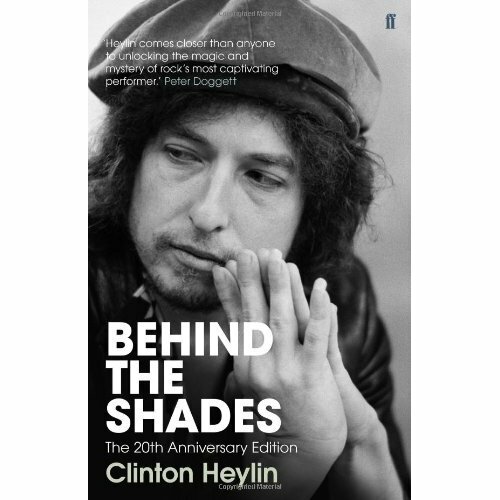 This 20th Anniversary Edition of Clinton Heylin’s Behind the Shades is a terrific, and at times, mesmerizing read; which ought hardly be surprising considering the author is recognised throughout much of the western world, as perhaps being the leading authority on Bob Dylan He was after all, co-founder of Wanted Man – the British magazine devoted to studying the songwriter’s life, times and work – while for a number for a years, he also edited the news section of its quarterly magazine, The Telegraph. He has also written two exceptionally comprehensive books on artist’s huge collection of work: Revolution in the Air (Vol. 1) and Still on the Road (Vol.2) both of which, really do stand alone amid the ever-increasing pantheon of publications on Dylan. In other words, the author knows his subject. In fact, I wouldn’t be surprised if Clinton Heylin knows things about Bob that Dylan himself doesn’t even know. A conspirational intrigue that may partially explain why this book succeeds in taking the reader on a thought provoking and undeniably complex journey; a journey best described as Dylan’s vast, colourful and seemingly endless career. Having just turned seventy, the artist still shows no sign of letting up or slowing down. He recently played shows in Vietnam and China for the first time in his career, both of which garnered as much praise as they did controversy. The latter of which is absolutely nothing new in a career crammed with some form of provocation and altercation. He is after all, the archetypal song and dance man with something to say. Naturally, not everyone would agree with such sentiment, but Heylin’s words are rather hard to argue with. Depending on viewpoint, Dylan was, and to a degree, still is, somewhat relentless in relation to the quality control of his official recording output. And this from an artist, renowned for not ever wanting to record more than three takes of any particular song. Again, it’s difficult to disagree with what Heylin has to say here. For a start, the singer really hadn’t sung better. Even today, hearing Dylan sing ‘Tangled Up In Blue’ or ’Idiot Wind’ from said album, still transports me to a place way beyond the ether of artistic evaluation. Suffice to say, there is so much more to read in Behind the Shades that is of equally candid and considered importance. It truth, it doesn’t get any better (nor captivating nor comprehensive) than this. This book is simply brilliant. This entry was posted in Bob Dylan, Music and tagged Blonde on Blonde, Bob, Bob Dylan, Clinton Heylin, Robert Zimmerman. Bookmark the permalink. Heylin is among the very worst critics. His basic theory is that Dylan might be a great artist if only Dylan would do exactly as Clinton Heylin believes he should. Where is Heylin’s own creativity? Everything he writes follows that useless theory.